I do not know the durability, but thin and easy to use. This review is about item#07184326. I think that it is not bad. Although it does not apply high torque, is not it usable normally? This review is about item#08744382. 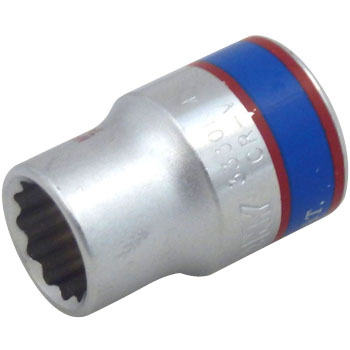 I am using it for maintenance of agricultural machinery and machinery. Since sockets which are used frequently are lost, they are replenished. Although it is inexpensive, there is no feeling of anxiety that licks with strength and precision close to brand tools rather than quality like cheap set items. I'm happy if there are six corners at this price. Used for oil element drain bolt of heavy-duty truck. In the beginning of use, there is printing of King Tony, it can be used pleasantly, but gradually the printing fades, King Tony or another company's socket is wrong. I like color because it's good, of course products OK! This review is about item#07184344.